Concentrated multi-functional hand cream that targets 8 signs of aging simultaneously. Contains no acids, no urea and no peeling. Our product solely focuses on reparing cracked skin. Delivers highly active, anti-ageing ingredients ensure that skin remains plump, hydrated and happy for longer. 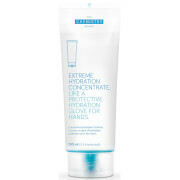 Extreme hydration is the perfect saviour for dry skin as it helps to create a barrier to protect this skin from the enviroment. Everyone is raving about us. Click here to explore our media to see why for yourself. 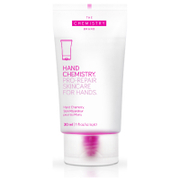 Hand Chemistry is a line of award winning skincare for the hands and body. Hand Chemistry’s active concentrates and revolutionary complexes are clinically proven to improve skin texture, firmness, hydration, elasticity and smoothness – just to name a few. 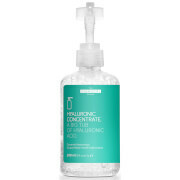 All Hand Chemistry products are multi-functional and are designed and developed by top skincare experts in the field. 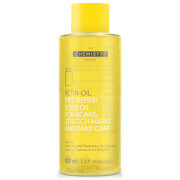 Don’t forget your hands, body and feet as part of your daily beauty regime!